Representative of the Entire Community. Wallace Emerson was once a forgotten part of Downtown Toronto, after all the neighbourhood was designated for the sake of convenience in the 1970’s when city planners just named it after its unassuming central intersection. Today, its proximity to public transit and the downtown core are causing an influx of condos and population. Reimagine Galleria As Your New Zone, Your New Abode. 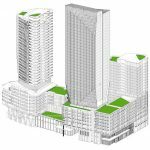 This community will span 5 high-rise buildings that will take up the entire city block along Dupont Avenue in between Emerson Avenue and Dufferin Street. This revitalization effort will bring 2,891 new luxury residential units to the area, which includes 150 affordable rental units. 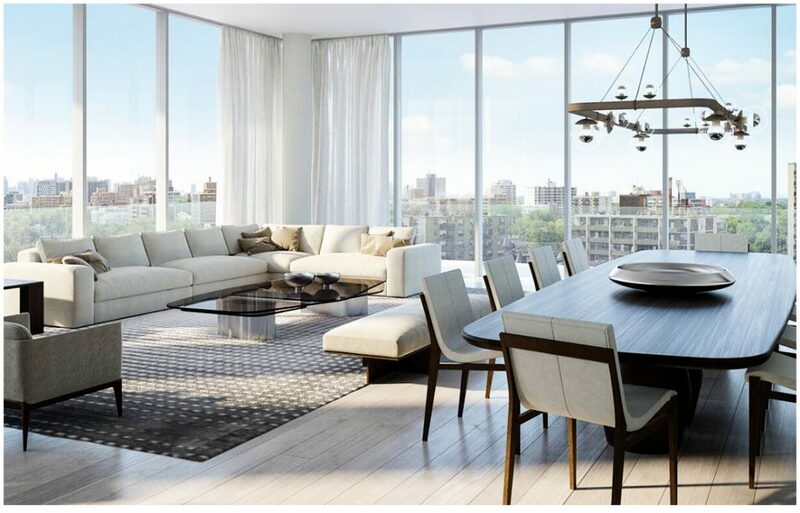 These suites will encompass a total of 2,399,221 square feet of residential floor space. It will also have 322,000 square feet of retail space, which is nearly 100,000 square feet more commercial floor space than the current mall. It is going to have 68,792 square feet of office floor space too - a considerable increase from the current floor space of 5,000 square feet. It’s in this way that the Reimagine Galleria residential condo development is representative of the entire community. The Galleria Mall was built in the 70’s, and it was one of Toronto’s first enclosed malls. Today, the shopping centre is a relic of the past with its aged design and facilities. 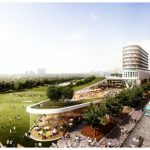 This development will replace the mall with a large scale and vibrant mixed-use community, bringing with it thousands of new residents and even more retail floor space. 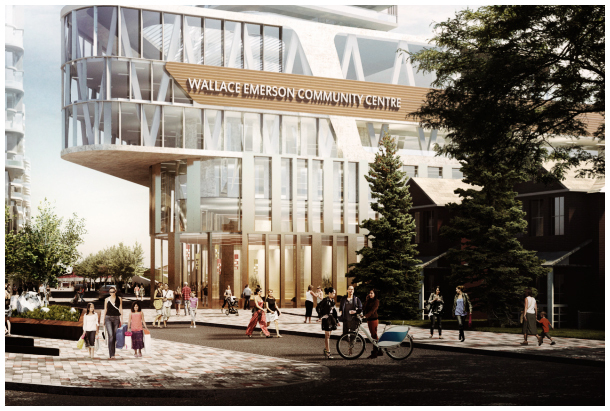 Wallace Emerson is transforming into a dynamic neighbourhood largely due to its surrounding transit options. It has a Transit Score of 85/100, which is explained by Dupont and Dufferin Streets both having plenty of street level transit, while Dufferin Station is only a 15 minute walk away. This subway station connects riders to the Bloor-Danforth Line, and they can transfer to the Yonge/University line in 5 stops. The 89/100 Walkscore indicates that most errands can be done on foot and also that there are plenty of local amenities in the neighbourhood. There are plenty of restaurants and bars in the surrounding region, and if residents don’t mind heading to Bloor, they’ll be treated to fare from all over the world. There’s also plenty of parks in the vicinity. Dovercourt Park, Christie Pits Park, and Dufferin Park are all closeby in addition to the revitalized Wallace Emerson Park. Despite its age, the Galleria Mall is a popular meeting place for locals, and this new development plans on continuing to fulfill the role. The developers have held extensive public meetings, and they listened closely to what locals had to say. 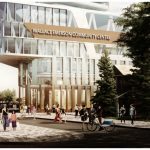 This is an important real estate project and they’re careful to get it right, meaning they’ll ensure amazing condos and a stellar new community. This is a chance to be part of something really special. Register today for Reimagine Galleria development project! Building 1 is located on the southeastern corner of the property, and it borders Dufferin to the east, Wallace Emerson Park to the south, a new public square to the west, and Building 2 to the north. Building 1 has the largest footprint out of the group, and it features a multi-stepped podium that reaches its apex at the 9th floor. Its first two floors will have commercial retail units, but the western and southern fringes of the 2nd floor will have residential units looking out to the park. It will have have a closed off roof terrace on the 3rd floor, and a restaurant on the 6th floor. 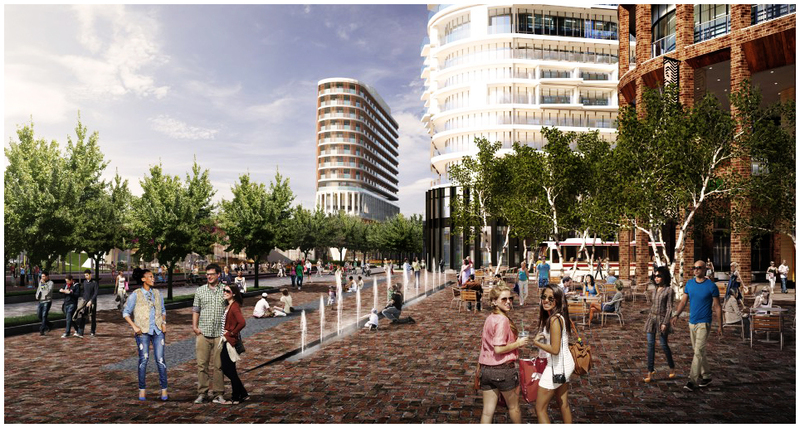 A 18 storey high-rise tower will rise out of the northern part of the podium. It will have 264 one-bedroom units, 215 two-bedroom units, and 53 three-bedroom units. Building 2 is located on the northeastern corner of the property. It is a triangular shaped building, and it faces Building 1 on the southeast, Dupont Street on the north, and Building 3 on the west. It has a multi-stepped podium that reaches the 9th floor, whose roof will be allocated for outdoor amenity space featuring a pool. Its first two floors are completely used for retail. Its tower is 29 storeys high and is located on the building’s eastern side. Building 2 will have 189 one-bedroom units, 152 two-bedroom units, and 38 three-bedroom units. Building 3 is one of the central structures in the development, and it has two towers that ascend out of a ten storey stepped podium. It confronts Building 2 in the east, the community square in the south, Building 4 in the west, and Dupont Street in the north. The highest point of the podium will be outdoor amenity space, and it will have a pool. Only its first floor will be used for retail. The northern high-rise tower is 35 storeys, making it the tallest in the development. The southern tower is 25 storeys. It will have 360 one-bedroom dwellings, 283 two-bedroom dwellings, and 72 three-bedroom dwellings. Building 4 is the other central building, and it will have 2 towers climbing out of a stepped 10 storey podium. The top of the podium will have outdoor amenity space that will have a pool. It faces Building 3 to the east, the park extension to the south, Building 5 to the west, and Dupont Street to the north. It will also have office and retail floor space on its ground level. Its northern tower is 31 storeys and its southern tower will be 22 storeys. This building will have all of the development’s affordable rental units, which will be located on the north side of floors 2-10. The condominium units will be divided into 281 one-bedroom condos, 215 two-bedroom condos, and 48 three-bedroom condos. Building 5 is on the western side of the property, and it has two towers rising out of a 10 storey stepped podium. 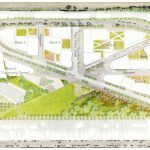 It faces Dupont Street to the north, Building 4 to the east, and it curves along the newly proposed road on its southwestern corner. Its ground level will be for office and retail space. The tenth storey roof will be for outdoor amenity space that will have a pool. 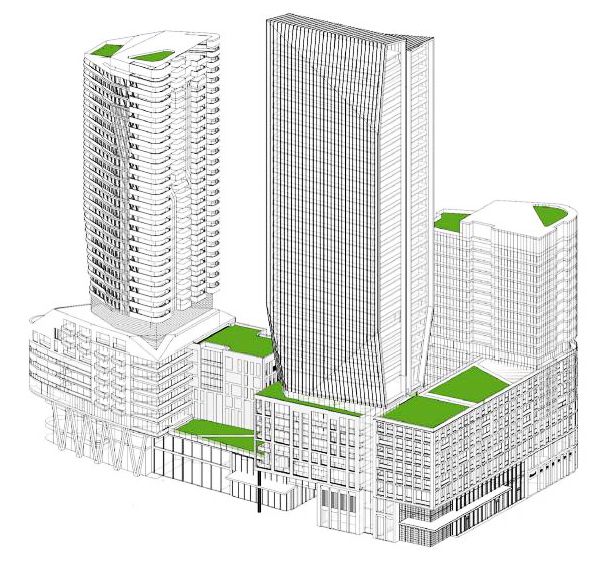 Its northern tower will be 25 storeys tall, and its southern tower will be 21 storeys. Building 5 will have 284 one-bedroom units, 229 two-bedroom units, and 58 three-bedroom units. At Reimagine Galleria Residences all buildings will be steps from it all. In total there will be 48,631 square feet of indoor amenity space and 50,999 square feet of outdoor amenity space. 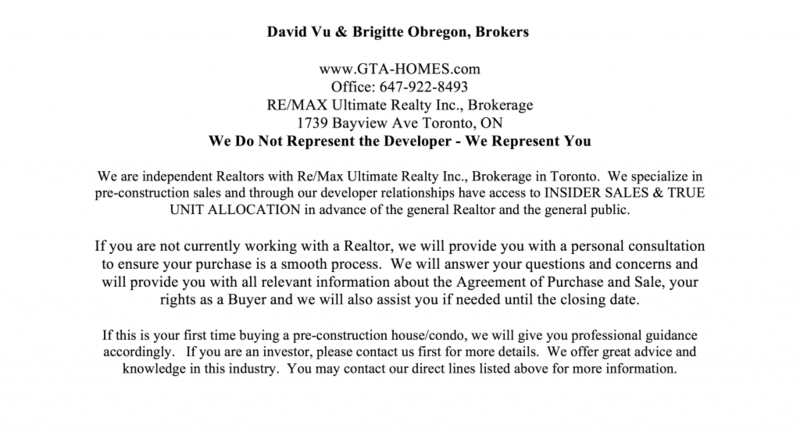 This real estate developer is the Canadian branch of the reputable worldwide developer ELAD International. 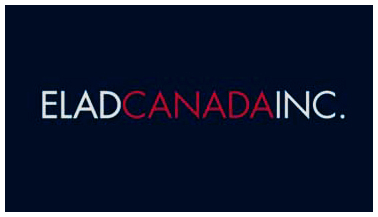 They don’t shy away from taking their international experience and applying it to Canadian markets. 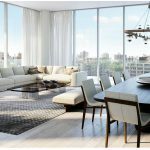 They have built throughout Canada, but they are most known for their award winning Emerald City condo development in Toronto. 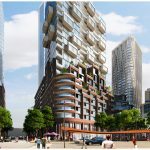 They endeavour to find underperforming properties close to transit and points of interest, so they can continue to make their mark on skylines across Canada. 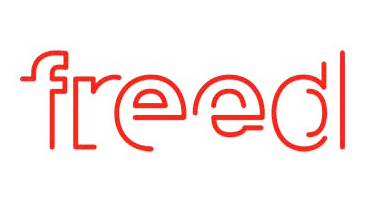 This is a design centric developer that builds its projects from the ground up. Its claim to fame is the redevelopment of the King Street West neighbourhood, having transformed it into one of the most vibrant and sought after regions in town. 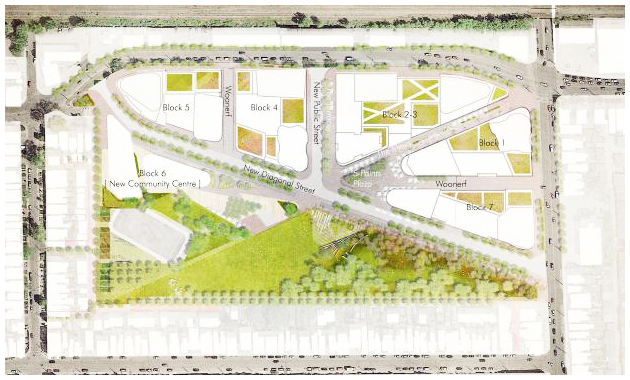 They are fixated on creating “live, work, and play neighbourhoods,” in which residents can enjoy a compelling lifestyle. They hope to affect Wallace Emerson like they did King West. We can't wait to hear more on this phenomenal ambitious project that will be bold, brilliant, Reimagine Galleria at Dufferin & Dupont.